Avik was among the first recipients of From the Top’s Alumni Leadership Grant! He plans to create a benefit concert in support of the Boston Center for Refugee Health and Human Rights that will include performances of music native to refugees’ homelands and a new composition based on stories and the interviews he conducts with local refugees. Read more about it in this article from NPR. Avik performed on Show 360 in Boston, Massachusetts on October 14, 2018. Avik Sarkar, 17, is a pianist, cellist and composer, who is currently a senior at Buckingham Browne & Nichols (BB&N), Cambridge, MA. He is a 2018-2020 Lang Lang International Music Foundation Young Scholar. He studies piano with Mana Tokuno and Alexander Korsantia at the New England Conservatory (NEC), cello with Nancy Hair and composition with Prof. Alla Cohen. He has been a piano student of Niva Fried for many years. Avik’s piece, Mirror for Chamber Orchestra, won the 2015 Carlos Surinach BMI student composer prize, awarded to the youngest of 9 winners chosen from over 700 composers under the age of 28. 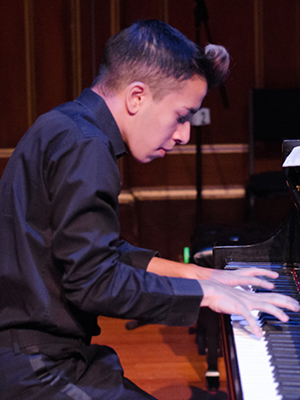 His compositions have received awards and recognition from the ASCAP Morton Gould, Robert Avalon International, Tribeca, and National Young Composers competitions and he was a National Young Arts winner twice in a row. His piano trio, A Separate Unity, was premiered by the Juventas New Music Ensemble at the Emerge program in Boston. The orchestral piece Purvi was played by Janáček Philharmonic in Ostrava, Czech Republic, and won an honorable mention at the 2016 BMI student composer competition. He has had several other works performed by preparatory students of the New England Conservatory, at Keller and Brown halls. Avik has also won top prizes at several international, regional, and state piano competitions, including The American Prize, Future Stars International, Forte International Music, New York International Artists, Louisiana International and Hartford Chopin International Piano competitions. He has won top prizes at NEPTA, MTNA, MMTA & Steinway Society of Massachusetts piano competitions several times. 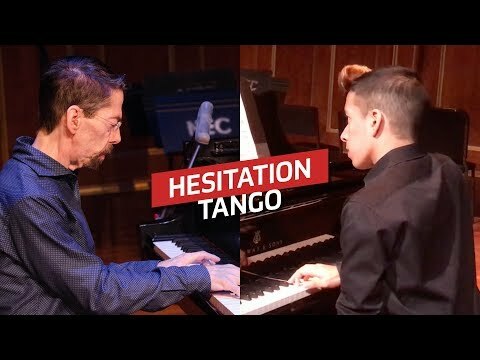 He has performed in recitals at Cadogan Hall in London, UK, Symphony Hall in Boston, Carnegie Hall in New York City, and was heard on WGBH Radio, NPR, Boston. Avik enjoys bringing music to the community and raised money for refugees in the Boston area last winter by organizing a classical music benefit concert through a From the Top Arts Leadership Grant. Aside from music, he enjoys competition math, writing poetry and watercolor painting. Avik is a member of the Center for Development of Arts Leaders (CDAL) in Boston.